Hormones In Meat: Science or Spin? Hormone growth promotants are used in as many as half of the steers and heifers raised for meat destined for the Australian market. 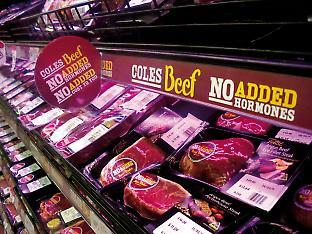 Is the decision by supermarket giant Coles to sell only meat that is free of growth promoters based on science or just a clever marketing ploy? Kate Osborne is an ecologist and science writer.